Inside the majestic Canyon of the Guil, Rafting becomes a unique experience for all outdoor lovers and adrenaline addicts. Quey’raft team started the rafting activity on the Guil between 1987 and 1993 and knows every details of this river today. Vincent has been training raft guides for the last 30 years and the team members are professional guides and whitewater lovers, who travel all over the world to kayak and raft. 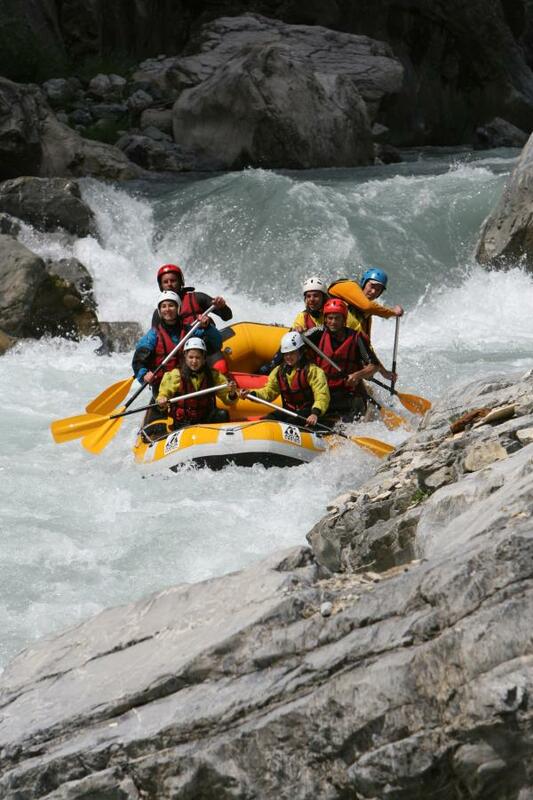 Our guides will ensure you a safe and unforgettable trip on the Guil ! Château Queyras is the center point of the Queyras Natural Park, a unique place for outdoor enthusiasts. 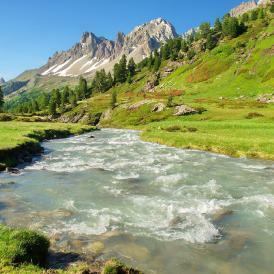 The Guil, a river like no other. At the bottom of the medieval castle, a magic river drags us into its univers. Here, it’s all about playing with elements ! The gorge is perfect for quiet breaks and secret spots only accessible by raft. It takes about 4 to 5 hours of intense paddling to go through all the sections of the Guil. Meaning a good teamwork where each paddler has to give its best to succeed ! 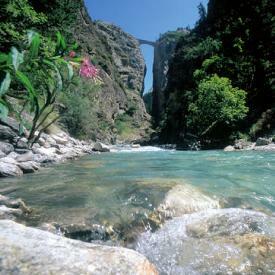 With its 20 km of never ending rapids (grade III-IV-V), the Guil is a gem for whitewater enthusiasts ! In this beautiful and wild place called Queyras, where people like to hike, the descent on the Guil is both a challenge and an inspiring experience through the wilderness of the Guil Canyon. Kayakers come from all over Europe to paddle this famous river and enjoy this place that can only be reached by water. Perfect for a first sport raft experience. Sensational sport trip, committed. Maybe one of the most diverse whitewater trip in Europe. Sport trip with 1h45 of continuous grade 4 rapids. The combo of the gorges and the rodeo that includes all the best rapids of this majestic river. 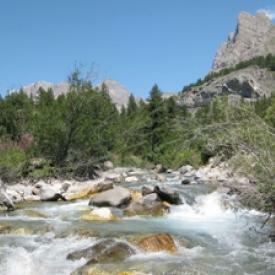 Alpine river with several stretches, same dificulty than the Guil (Grade 3 to 5). 1 hour drive from our base at Chateau Queyras. Wild river in a wide and remote valley, great section in May. 1H30 drive from our base. Great to discover in spring time. (Grade 3, 4). 1 hour drive from our base. Easy river with nice scenery, great for family trip with young children and those who want something quieter. We supply all the equipment (wet suit, helmet, paddle, boat, neoprene socks). All you need is your swimsuit, a pair of shoes that can get wet (any old sneaker is great) and your best smile ! 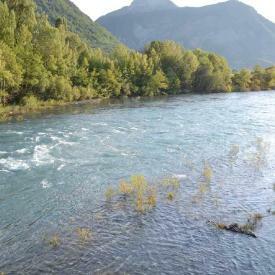 Our equipment has been created specialy for rivers like the Guil !